Just as I Facebook sourced my dad's birthday cake, I also found out birthday dinner spot view Facebook when I spotted some awesome looking blueberry muffins on a friend's FB page. 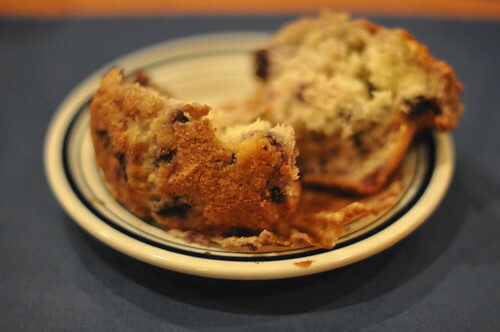 Turns out blueberry muffins are something of a signature at Dolphin Marina. Our waitress told us that the muffins were a nod to the days when the marina used to serve breakfast. They don't do breakfast anymore, but I sure am glad they still make those muffins, because they were worth the ride themselves. Sometimes I forget how wonderful warm muffins can be. I feel like a few years ago muffins were in with the cool kids. People were generally pro-muffin. 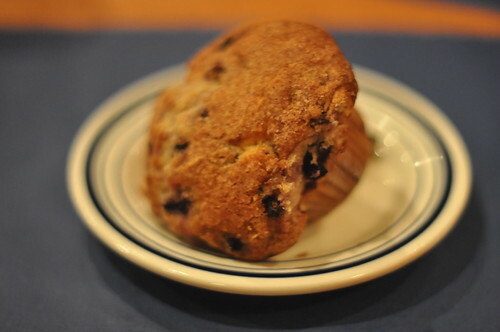 Muffins were invited to breakfast and brunch. Then there was a shift. Muffins were exposed as half naked cupcakes--too fatty, too sugary. 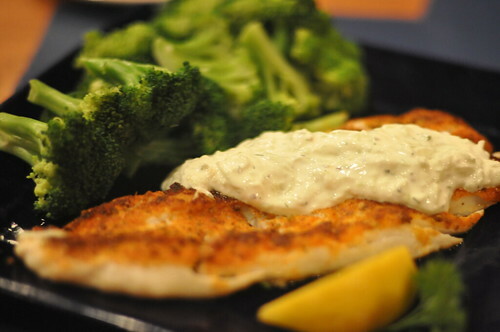 You might as well eat a Big Mac. If you regularly pass muffins by, these are worth making an exception. Moist, tender and filled with Maine blueberries, I had no problem splitting this warm bad boy down the middle and slathering it with some sweet cream butter. Yes, I said it, I buttered this muffin and I'm glad. Muffins come with most menu items like their chowders and entrees (I enjoyed a particularly good baked haddock with cucumber dill sauce). The place was hopping from the moment we arrived until we left just before closing. As my dad noted, "it's rare to go to a restaurant where everyone leaving is happy." If you get a muffin, I guarantee you'll leave happy, too. I have a feeling this is going to become an August tradition for our family.